This uber soft sweat-pants in neutral contemporary tones. 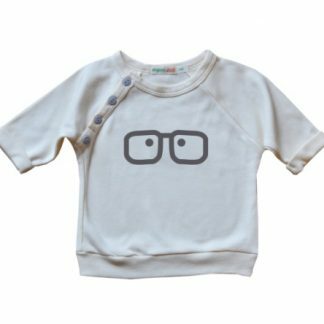 These organic cotton comfy bottoms team perfectly with our Natural and Grey motif sweat-shirts (sold separately). 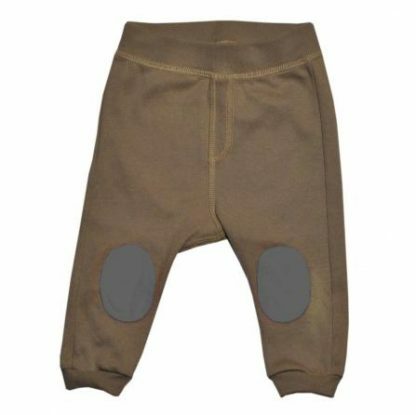 The trousers come in either Grey with Tuscany brown knee patches or Tuscany brown with grey knee patches. OrganicZOO is a conceptual British fashion brand for babies that will steal your heart with its adorable prints and incredibly soft 100% organic cotton. 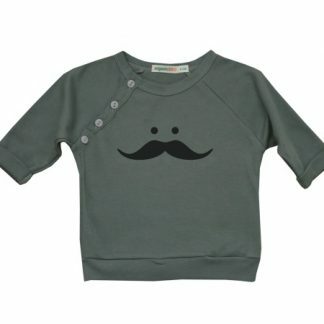 Simple, functional, but never lacking character, this season organicZOO clothes stand out from the crowd more than ever before. The choice of colours picked for this season follows organicZOO’s unique style of neutral and unisex tones. 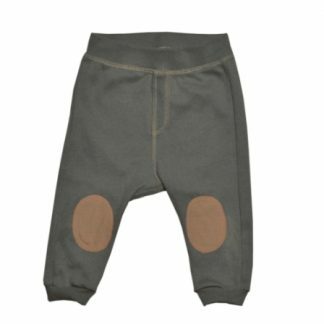 Choose from Tuscany Taupe loose fit pants jazzed up with Cool Grey patches and Natural or co-ordinating tops providing simple, yet detailed organic luxury. OrganicZOO’s designs are not provoking or rebellious but rather playful and stimulating. 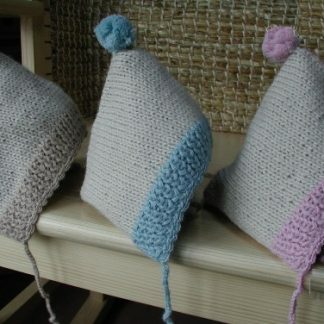 Conventionally grown cotton consumes 25% of the insecticides and more than 10% of the pesticides used in the world. Neither is used in growing organic cotton, which helps to preserve our air, water and soil. 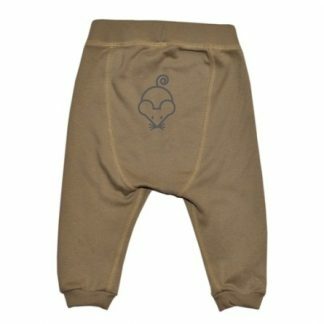 Organic Zoo cotton is created without the use of any damaging chemicals or pesticides, with 100% organic cotton that has been certified by GOTS standards.